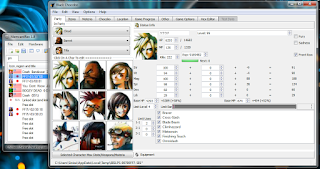 It simply takes a single FF7 save, stores it to temp directory, sends it to Black Chocobo and waits for the application to close so it can put the save back to MemcardRex. 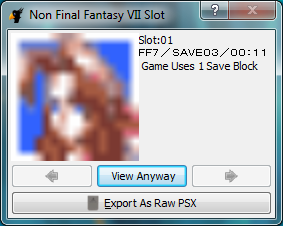 I named the temp file "FF7SaveData" and that worked when I tested the plugin. detect it as a single save (eg. "BASCUS-94163FF7-S01"). 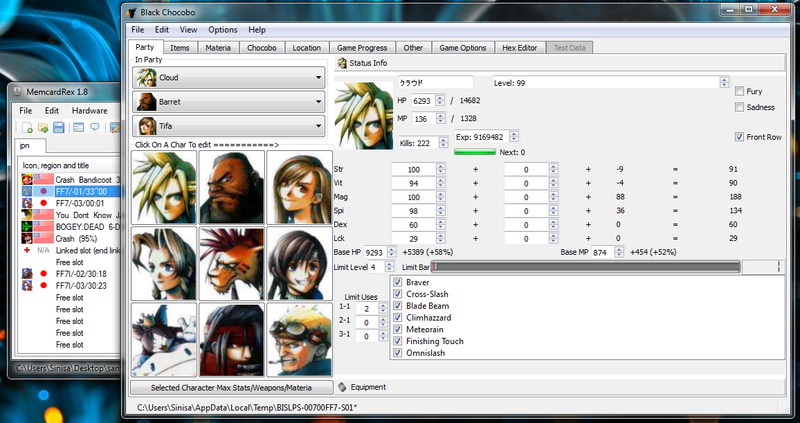 the save is not detected as Final Fantasy VII save. This has escaped me as I don't use Black Chocobo. Fortunately user Jack Barnard pointed out the problem with the plugin. So I fixed the problem and got the plugin working once again. plugins directory with the new one.